Clinark –The Reggae Torch wiil be performing live with The Mafia & Fluxy Band. 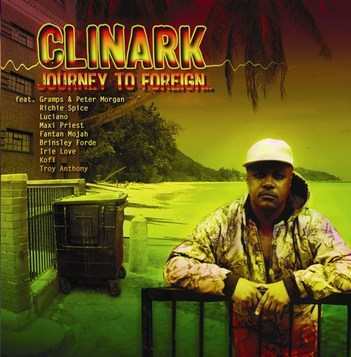 North London based Reggae Singer; Clinark teams up with North London’s top reggae musicians and producers, Leroy ‘Mafia’ Heywood and his brother Dave ‘Fluxy’ Heywood. DJ Daddy Fridge from Lightning.FM will be hosting. The show also features 3 other new up and coming live bands at this great venue. It’s a rare performance of the original team that brought us one of the most outstanding reggae albums to be produced in the UK recently. Clinark will be including tracks from the album ‘Journey To Foreign’ ‘Life in the Ghetto’ & new cover of the Jackson 5 hit ‘I’ll Be There. ’The single was recorded before Michael Jackson’s untimely death and is dedicated to him. The ‘Lovers Rock style single is available in shops now and on MP3 download from Clinark.com and from ITunes, Napster, and CD Baby, Amazon etc this month. The tracks are released under Clinark’s own label, Nurture Projects Music. Look out for the accompanying music video, due out shortly. The official video for the Lead track of the album, ‘Life in the Ghetto’ is featured on You Tube and on rotation on Tempo TV and various network channels around the world and the Video ‘Life in the Ghetto ft Gramps & Peetah Morgan reached no 5 on Suzie Q’s Reggae Top Ten Video Alley and on BEN TV. Lifestyle show on DJ Daddy Ernie’s show. Clinark teamed up with film graduates Chris Cargill (Director), Jesse Banfro and Lee Tarrier of DOF Films UK last year to enable Nurture Projects make some budget videos suitable for YouTube and the success meant that TV stations are now requesting them. He is also recording a new single for release in November 09.